I’m going to show you the 10 best hacks for getting SEO traction and results. My goal is to save you time and get amazing results faster than ever. Everybody knows SEO is the best way to generate website traffic and sales leads. Over 81% of B2B purchases start with a simple web search and organic search results are 9X more likely to get a click than paid results. Knowing how important SEO is, why is it so complicated to manage an SEO campaign? Simply put, SEO involves a series of tedious, time-consuming tasks. In this article, I’m going to show you the 10 best hacks for getting SEO traction and results. My goal is to save you time and get amazing results faster than ever. 1. Find hundreds (or thousands) of guest-blogging contacts in 5 minutes. Then, take a break. A big problem with guest blogging is all the time it takes to find contact info for folks who can lend you their blog for a piece of content. Well, it used to be a problem. Check out this lightning quick way to get those contact details. 1. Install the MozBar (Wait, have you not used the MozBar yet? Brace yourself. Life’s changing. 2. Go to Google.com and click on “Settings” and “search settings”. Change your default to 100 results per page. 5. Open the file you just exported. Select the URL column from the spreadsheet and copy it to the clipboard. Then go to https://websiteseochecker.com/extract-url-to-domain/ and paste the entire URL column. Look out, though, there’s a CAPTCHA that makes you do math. Literally the hardest part of this process! 6. 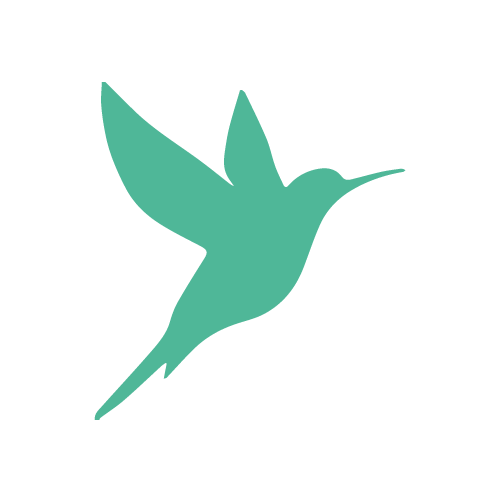 Create an account at https://hunter.io. Then go to https://hunter.io/bulk_searches and click on “new bulk”. Give it any name you want, then paste the domain names extracted in Step 5. 7. You’ll now see the e-mail addresses for 60% to 90% of the people you targeted. 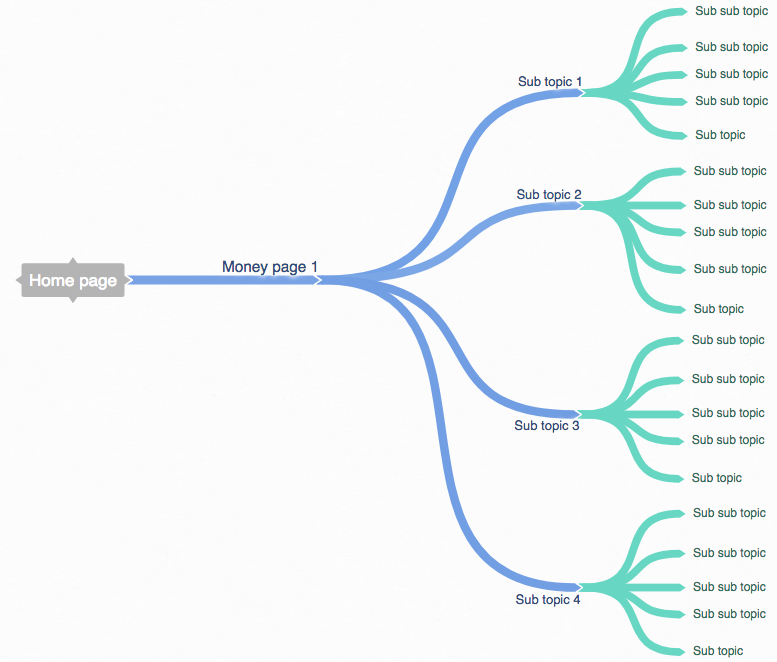 With Google RankBrain, LSI keyword have become a huge opportunity for SEO. Simply adding those keywords to existing content can propel the page to the top 10 for a wide range of keywords. But finding those LSI keyword can still be a pain. That’s where Mazen delivers a killer SEO hack. Need to write about a subject you don’t know very well ? Need to optimize a page that is semantically “simple”? That’s right, for each keyword on a page, Mazen automatically finds the right LSI keywords for your content, directly from our Knowledge graph.Using this vocabulary, you’ll be able to create amazing content that Google loves. No need to thank us. It really is our pleasure. 3. During your keyword research, find out what questions people are asking about the subject. Then use those questions to write your content. Ever since its Hummingbird Update, Google has focused more and more on natural language search and the answering of questions. That’s why it’s a great idea to structure your client’s content with multiple questions. You lose so much time if you search for keywords first and then look for relevant questions while composing content. That’s why Mazen and Answer the Public provide trending questions when you’re researching keywords. For each primary keyword you select, you can add related questions. You’ll probably want to use them as H2s to structure your content, and Google is going to love that. Linking to external authoritative sources is a very important way to show Google that your content is trustworthy. Also quoting people your readers recognize is a great way to keep their attention and show your expertise. Have you heard of Storyzy? 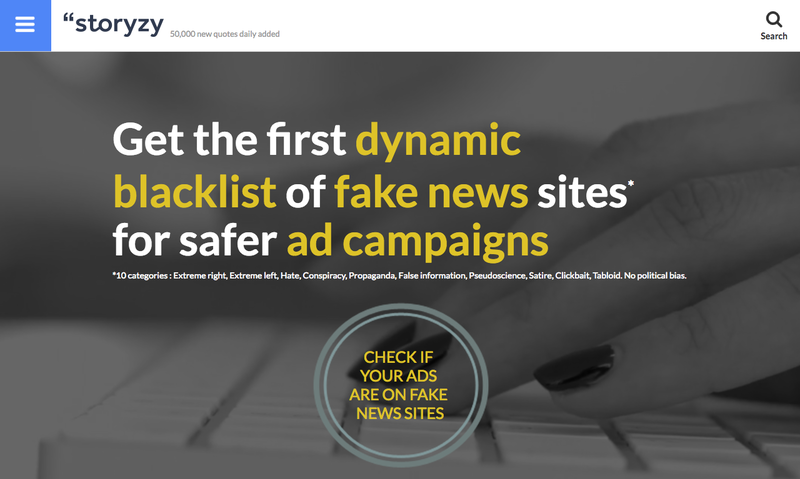 It’s a service mostly dedicated to helping brands find out if their ads are displayed on “fake news” websites. But it’s also helpful for finding quotes by famous people. link externally to authoritative sources, which is proven to help you rank better and make your website more trustworthy in the eyes of Google. 5. Make your client’s website faster. Now. So many studies have shown that faster-loading websites also rank much better, especially with mobile requests. But fixing every technical problem is a huge time killer. As SEO specialists, we want to spend as little time as possible on each client, while still getting great results for them. 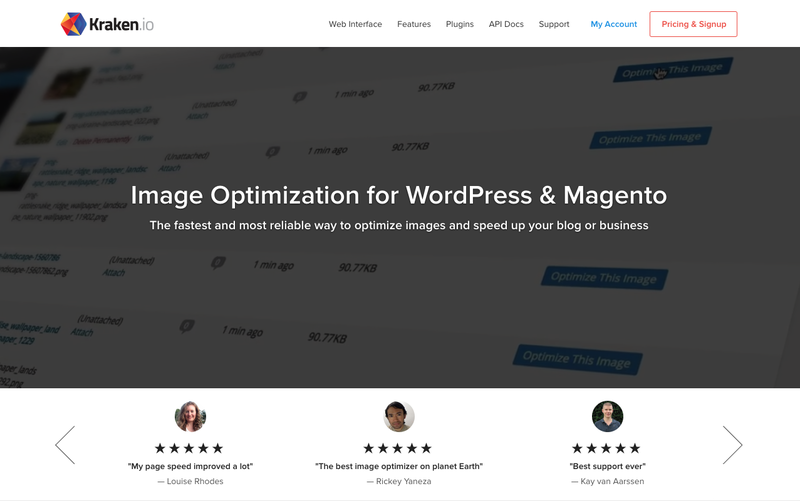 If your load speed is lagging, it’s most likely due to the size of your images. This has been the case in 80% of the sites I’ve worked on. Trust me on this, if you reduce the size of your images, you’ll almost certainly see an improvement in ranking. We all know that the best way to rank well is to create amazing content that everybody wants to share. But as an agency, you also know that if your client doesn’t have anyone to write that content – or money to pay a good writer – then you have to find another solution. A good hack if you have a leaner budget is to only create 4-5 great pieces of content (1-2 if you’re extra broke), each targeting the top 5 most strategic keywords. For the remaining keywords, send detailed instructions to an offshore copywriting agency. In those instructions, you’ll want to add the list of LSI keywords (see Hack # 5) that Mazen found for you. Next, organize the content into groups of 5 to 7 pieces that all share the same main topic. For example, let’s say you want to rank for the keyword “SEO content”. You could create 4 pages targeting 4 different keywords, all related to the main topic of “SEO content”. If you can afford it, the best solution is to buy a minimum of 20 pieces of content, but 50 to 100 is ideal. For each of your 4-5 “money” keyword pages (mother pages) with great content, you can have 5 daughter pages and 25 granddaughter pages (5 for each daughter). By doing so, each of your money pages will be semantically “pushed” by 25 pages of content, each of those also targeting a long-tail keyword. You’ll be able to rank very, very few links, because Google will recognize that the website semantically covers everything that can be said about a specific topic. I know I went over the $5,000, but I can’t help myself. When I have a $5,000 budget, I always try to get $500 more. Can’t hurt to ask! 7. Never research keywords for more than 20 minutes again. Use Mazen to make it quick and easy. At Mazen, our goal is to help you find time to seize the day or just chill out. Researching keywords all day long is a huge pain-point for agencies, and we’re spending all of our time finding ways to save you some. With the Mazen Keyword Assistant, you’ll find your keywords twice as fast as any other keyword tool, and four times faster than with the Google AdWords tool. UX – Our interface is clean and intuitive, unlike the cluttered and confusing UIs you’ll find in all of our competitors’ tools. 15 Keyword Sources, One Interface – Google AdWords, SEM Rush, Amazon, Bing, Wikipedia and many more… Compare that to the 2-4 sources our average competitor has. Unique Technology – Our groundbreaking algorithm, visualized by our knowledge graph. Find all the keywords you’ll need in one search. Mazen can suggest expressions that have zero words in common with the keyword you searched for, but that we know Google will find relevant. 8. Set up your client campaign in one minute with Mazen Keyword to URL matching. Is there any task more repetitive and tedious than creating a spreadsheet that looks like this? When you have to do this everyday for hundreds of keywords… How do you not lose your mind? Well, I couldn’t stand it. That’s why I decided Mazen would put an end to this painful process. 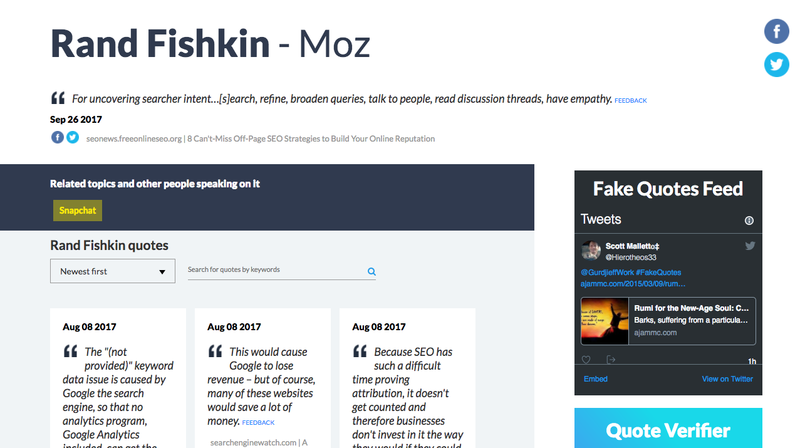 When you enter a list of keywords into Mazen, the software automatically finds the best landing page from the entire website for each one. And if you want to make any changes, you can do so super easily. 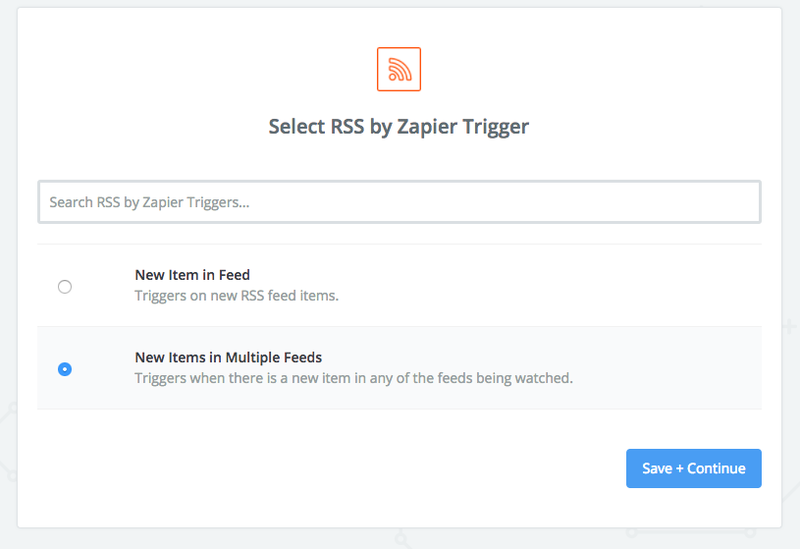 Select “RSS” as the trigger. Use “New Item in Feed” to trigger the Zap every time a new article is published on a specific blog. For this example, I’ll be using the RSS feed for Google’s blog about their Search product (an excellent source of information for any SEO specialist). Click on “+” and “Choose Action”. 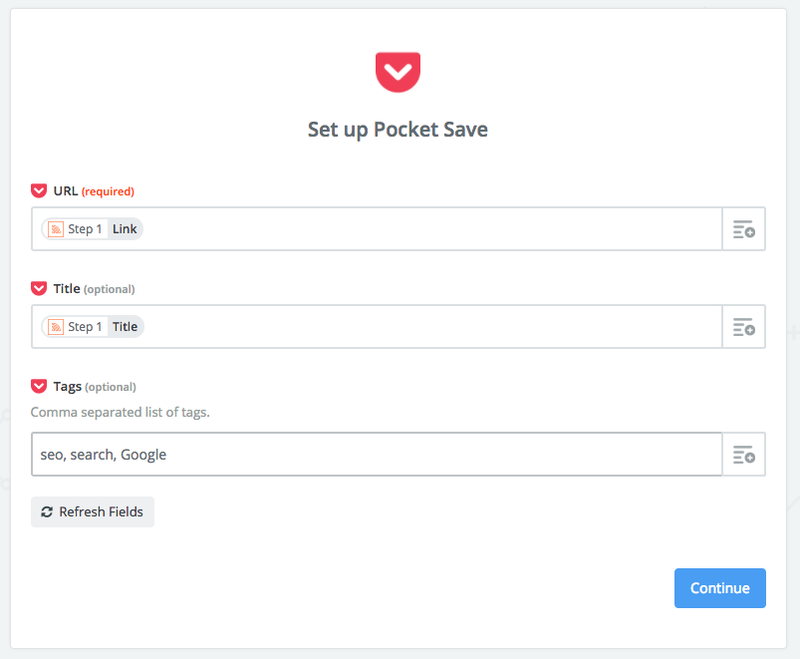 Ten, select the app Pocket and set up the action as “save for later”. Configure it to send the article’s title and URL to Pocket and add tags if needed. I’m a bit of a control freak, so the more tags, the better! Presto! From now on, every new article published on Google’s Search blog that contains the words “search” or “SEO” in the title will automatically be added to Pocket. Important: Make sure you create one Zap per client, it will be way easier to manage. You should have also have one Pocket account for each client you manage. Connect each unique Pocket account to its own Zap. If you want to handpick the content you share, you’ll only want to share articles that you designated as Favorites (by clicking on the star in Pocket). 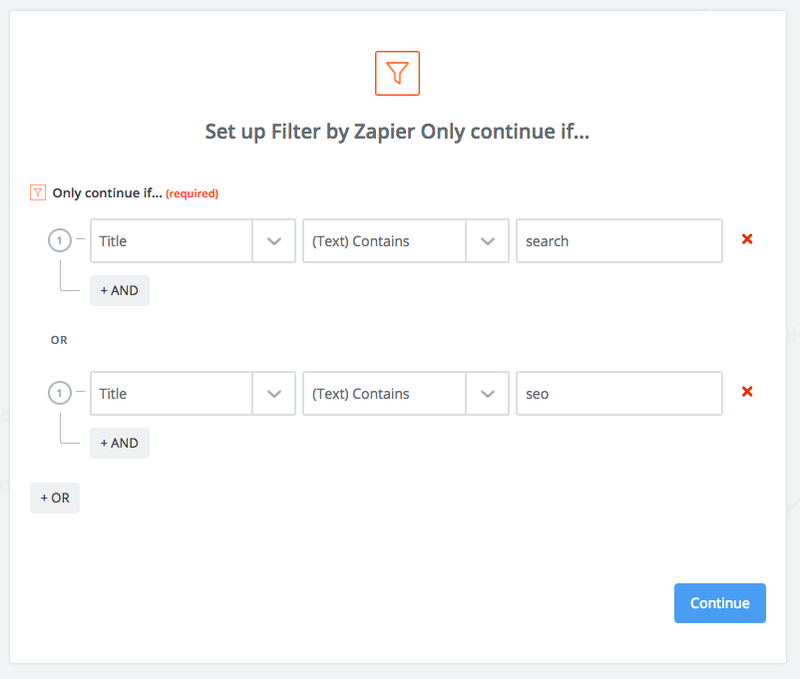 We’re going to use Zapier again (in case you didn’t notice, I’m a little obsessed with Zapier), this time in conjunction with Pocket and Buffer. So, for this, you’ll also need a Buffer account. 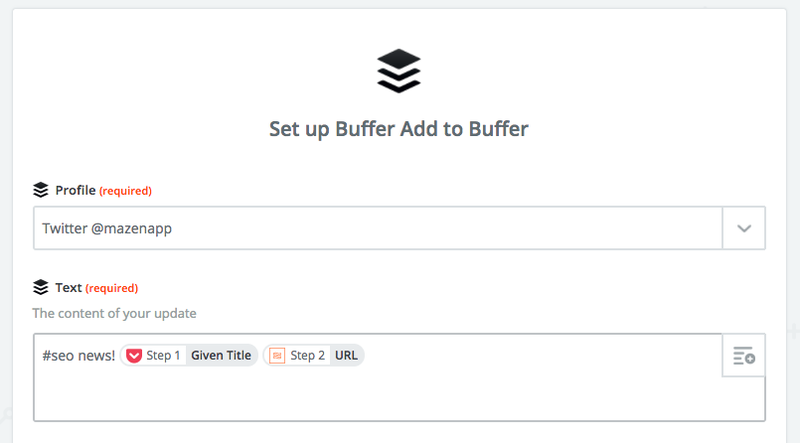 If I were you, I would take the opportunity to convince your client to purchase a Buffer license. Nobody should ever have to live without a Buffer account. Now, let’s create a new Zap! The trigger for Pocket will be “New Favorited Item”. Then, move on over to Buffer. Select the social platform on which you’d like to publish the content, e.g. Twitter. You can create a tweet using the information extracted from Pocket, such as the article’s title and URL. 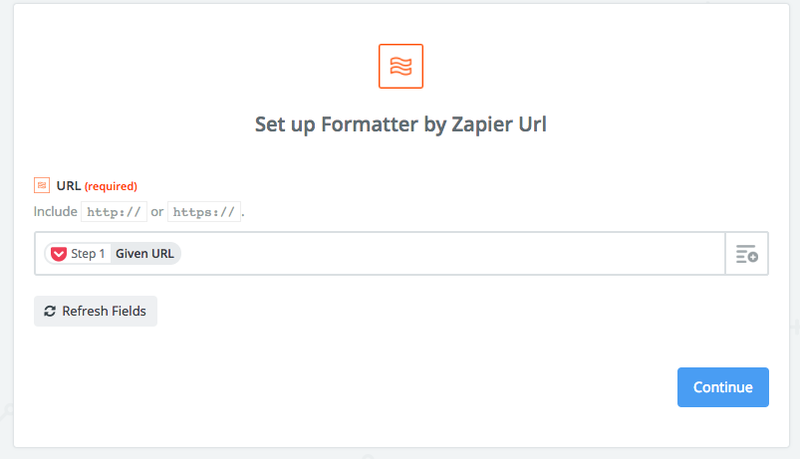 Since you are posting to Twitter, you can even add a step to shorten the URL using Zapier’s Formatter. It’s super easy, check out the screenshots below. With this shortened URL, you can now compose a beautiful tweet, which will be published via Buffer at the time of your choosing. That’s it! No more time lost sifting through every major blog in your client’s market to find interesting content. Everything potentially worthwhile will be available for you to read in Pocket, and the content you Favorite will automatically be curated and posted on your client’s social media channels! Mazen allows you to edit title tags and descriptions (even H1s and H2s) directly from the platform. When you need to edit hundreds of tags, this is a huge time-saver. No need to dig through your CMS (WordPress, Magento,etc. ), find the right page, and scroll around to edit the tags (e.g. Yoast SEO). There are plenty of reasons you might want to make small changes to each title tag. SEO guru Brian Dean says that, for his link-building guide, he used to just have the name of the guide in the title tag. With just that simple tweak, his page now ranks for a bunch of new keywords he didn’t even think of, e.g. “SEO link building”. But when you’re an SEO agency, having to check every title tag of every money page for every single client is soooo tedious. I don’t know about you, but it turns by brain into soup. Personally, I was tired of dealing with that, so we came up with a great solution to this problem: letting users modify their CMS within an SEO tool. In Mazen, you can actually edit your client’s title tags directly from the dashboard interface. So if you have multiple clients using various CMS platforms, you can work on title tags and keyword research with only one screen open. Stop digging into CMS, stop searching for the right page, and stop scrolling down to the Yoast or other SEO plugin. Mazen is a game-changer because it’s also life-changing. Hi there, Awesome publish.. website seo score There is an matter with your web page within internet explorer, would certainly examination the following? Firefox nevertheless is definitely the sector leading plus a superior component of men and women will certainly omit your current fantastic publishing due to this challenge. These are the most effective SEO practices which help to increase traffic from search engine. This is very true. It’s good to see someone with great ideas about this. There are so many people out there giving incorrect info about these stuffs. Thank you so much for posting it here.